This Vizio TV packs a ton of bang for your buck features you wouldn't normally find at this price point. Typically Samsung would make you spend over $1000 for a 4K tv with a 120Hz refresh rate and if you have a ton of consoles, receivers and devices you are in luck as this has 5 HDMI ports which is more than you would typically see. Many reviews also report very low input lag which means there is little delay when you play games. 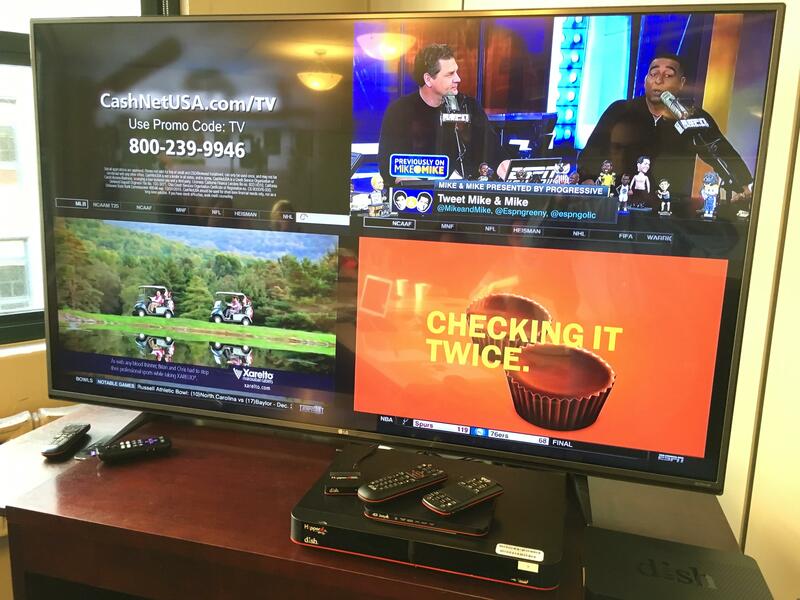 Many reviewers love this TV and have called it one of the best TV under the $1000 price point. Sony packs some highly desired features with a 4K panel and native 120Hz refresh rate. Many enthusiasts love using this as a computer monitor or gaming as it has it supports the 4:4:4 Chroma which makes for crisper images, less artifacting and lower latency. This uses the Android OS natively so you can play games or use apps as well. If you needed a cheap TV with a brand name behind it then look no further. Dell is offering this 43" Samsung for only $400. You get an additional $150 Dell Gift Card that pushes the price down to only $250! This 43" is big enough for a bedroom tv or if you have a larger kitchen. For the price you will be hard to find a TV bigger TV for the price. This is the second highest end TV in Samsung's 2015 SUHD TV lineup. It has the same picture quality as their highest JS9000 series and the only difference is the curved display which not everyone is sold on. This is the lowest price we've seen since Black Friday and has all the bells a whistles you would want in a high end TV: the newest technology with support for HDR, 4K resolution with upscaling of 1080p content, 120Hz refresh rate, and a very fast octa-core processor for a responsive GUI. If there was any concern buying off eBay you would be buying from an extremely reputable company Adorama, you are protected by eBay's protection and if you use PayPal you are once again protected on the payment end. We actually bought the same TV off eBay from the same company and were very happy with the experience. If you need a small TV for a dorm or kitchen then this Samsung is hard to beat. For $200 you get a Full HD 1080p TV. Don't be fooled by other TVs in this price range as they are typically a 720p set and will not be as sharp as this 1080p set. Plus you get bonus of a Dell gift card can be used on smaller accessories such as headphones. This TCL TV is well rated by PCMag and one of the best budget TV's they tested last year. The most notable draw is the integration of Roku which allows you to access Netflix, Hulu Plus, YouTube, Amazon Instant Video, Sling TV and more. The picture quality is solid with accurate colors out of the box and shadows that won't get washed out both of which tend to be a problem for budget TVs. Spring is right around the corner and now is the time to upgrade a TV if you missed your chance during Black Friday. The team at TechBargains has observed that some of the best TV discounts outside of Black Friday come out a few weeks after the Super Bowl. Stores begin to clear out 2015 models to make room for the new 2016 TVs that were introduced during CES. What's this mean for you? You can get a incredible deals on 4K TVs and if you don't need the latest and greatest this means steep discounts on a 1080p set at any size. Disclaimer: All product and deal information such as discount, price and availability are believed to be accurate as of the time of publication. However, deals and coupons from merchants can expire, sell-out, or prices can change at any time. Please verify all information with the merchant's site carefully. RELATED VIDEO: Is 4K television worth it? What is the 'best diet' for you?